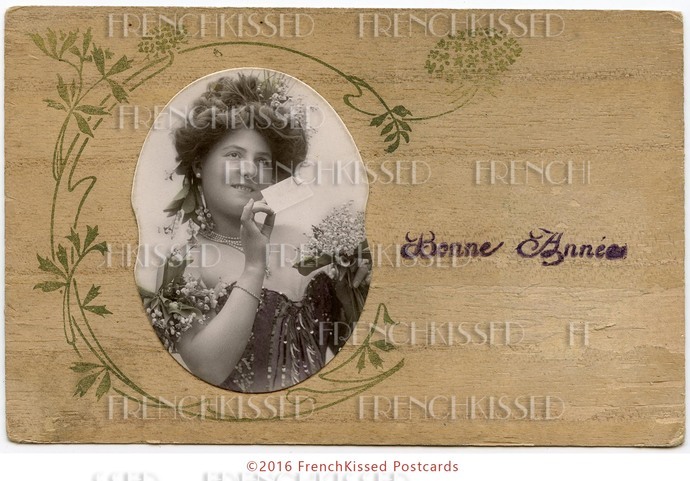 As you can see in the second photo, my original French wooden postcard was stamped with Happy New Year (Bonne Annee) greetings. But in my upcycled, rejuvenated version, I decided to crown this beauty Mother Nature. She is, after all, decked out in Lily of the Valley. 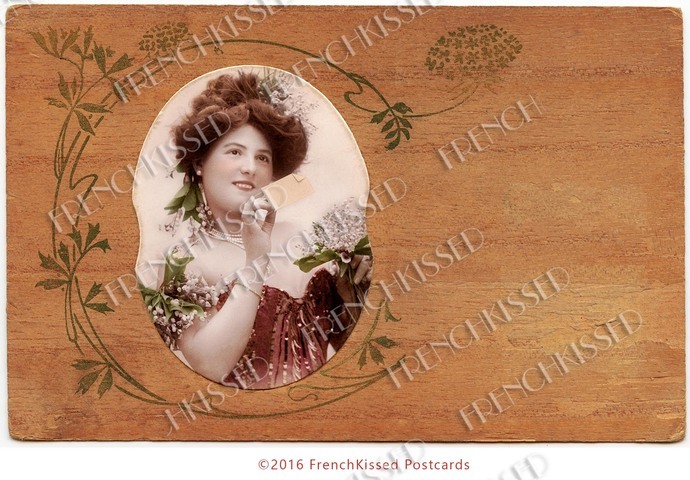 And that petite card she's holding? Why, it's an invitation to the Spring Ball, of course! This image is 300 dpi at about 5.5 by 3.5 inches.